Only available for loving families. Have to give him away because of his competing nature with the other dog I have. The Siberian Husky (also known as the �Chukcha�, �Keshia�, or �Arctic Husky�) originated as a sled dog for the Chukchi tribe of Eastern Siberia (in northern Russia) several thousand years ago. It was imported to Alaska in the early 20th century during the Alaskan gold rush. The Siberian Husky attracted attention when it completely dominated native breeds in the 400 mile �All-Alaska Sweepstakes� race from Nome to Candle in 1910, the second year in which it competed. It gained further prominence in 1925 when a gold miner named Leonhard Seppala used a now-famous team of Siberian Huskies to make an urgent delivery of diphtheria serum to Nome, saving thousands of lives. This delivery became known as the �Great Race of Mercy� and attracted much attention to the Siberian Husky. A statue honoring Seppala�s team stands today in Central Park. In 1930, Russia allowed the last group of Siberian Huskies to be exported from Siberia; the breed was recognized by the American Kennel Club that same year. Most Siberian Huskies today descend from the 1930 exports and Leonhard Seppala�s team. Today the Siberian Husky is one of the most popular northern breeds, serving as a pet, sled racing dog, and show dog. 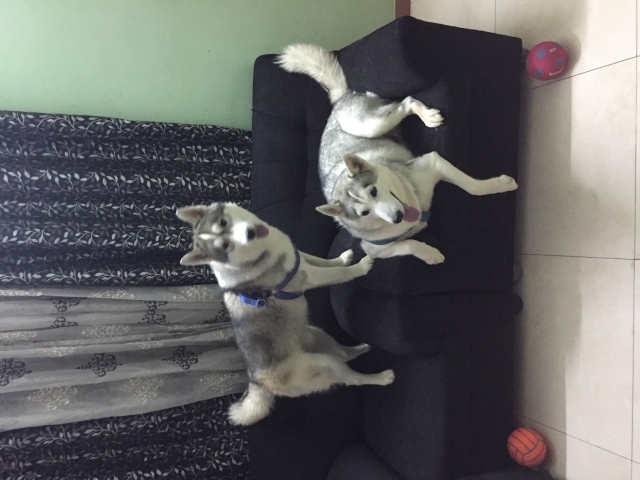 Siberian Huskies appear prominently in Disney films �Snow Dogs�, �Eight Below�, and �Iron Will�, all based to some degree on true stories of heroic Siberian Huskies. Siberian Huskies are the mascots of Northeastern University and Michigan Technological University. A female Siberian Husky mix named Laika became the first animal to enter orbit when she was launched into space on Sputnik 2. The Siberian Husky has a shoulder height of 51-60 cm (20-23.5 in) and weighs 15-28 kg (35-60 lbs). It has a round skull with almond-shaped eyes and triangular, erect, furry ears. Some Siberian Huskies have a �winter nose� which fades to pink in the winter; the color change can be permanent in older dogs. The Siberian Husky�s eyes are blue, green, brown, or hazel. �Bi-eyed� Siberian Huskies have one blue eye and one brown or hazel eye while �parti-eyed� Siberian Huskies have irises of blue mixed with another color. The Siberian Husky is one of only a select few breeds which is allowed different-colored eyes in the show ring, and one of only a few breeds to commonly have blue eyes. Siberian Huskies have an arched neck, sickle-curved tail, and furry, oval feet. They have a wolf-like appearance. The Siberian Husky is adventurous, clever, and stubborn. It wants to be everyone's friend, a fact that makes it a less-than-ideal watchdog. Siberian Huskies love to wander, and they are full of energy and independence. 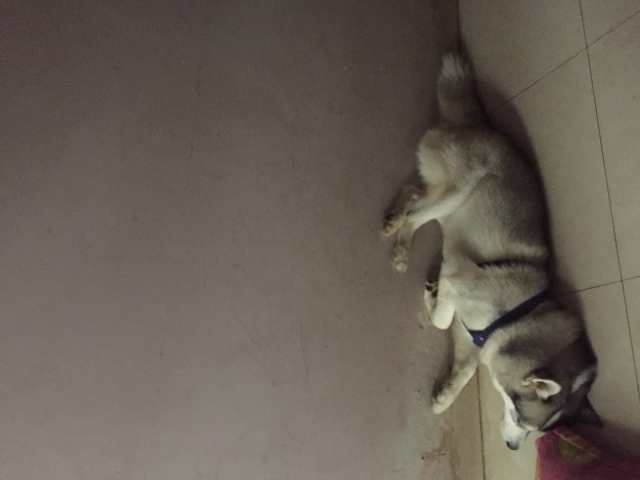 The Siberian Husky is known to stage frequent and elaborate escape attempts by jumping over or tunneling under walls. It is very energetic and active when playing, and tends to make interesting whoops, yowls, and ululations. Siberian Huskies require weekly grooming with a brush and comb, particularly on the rear legs, more often when shedding. Bathe only when necessary. The Siberian Husky has a lifespan of 10-14 years. It is generally healthy, but prone to eye problems such as glaucoma and cataracts, and cancer when older. 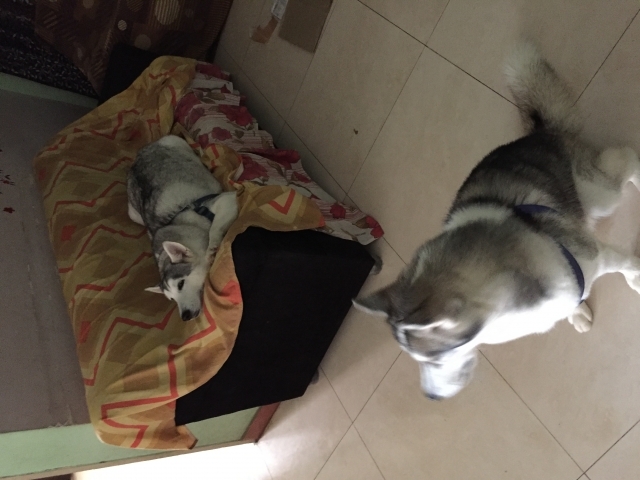 The Siberian Husky has a high propensity for obesity if under exercised, and requires less food than one might expect for its large size; consult your veterinarian for dietary information. 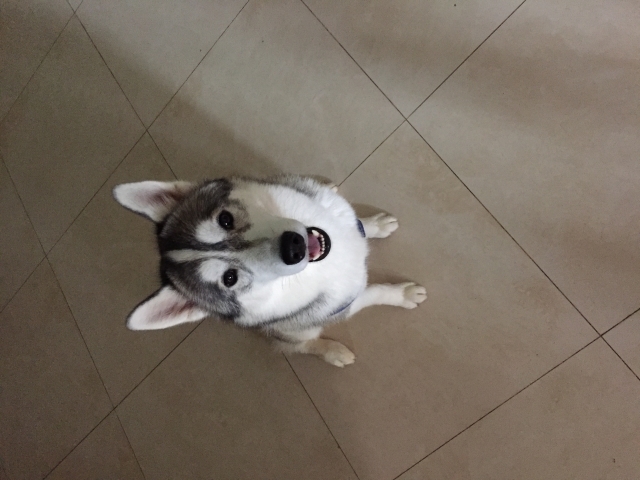 Fish oil, which can be found in sardines or flaxseed oil, is a recommended part of the Siberian Husky�s diet. 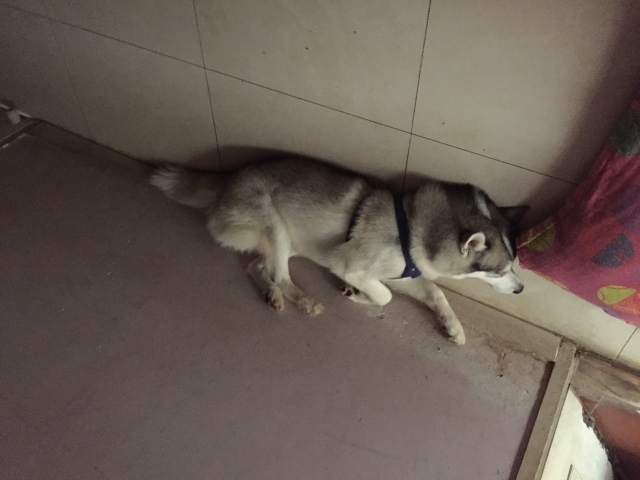 The Siberian Husky is not well suited to warm climates; it needs a cool place to sleep in the summer. The Siberian Husky will only obey commands that make sense to it. 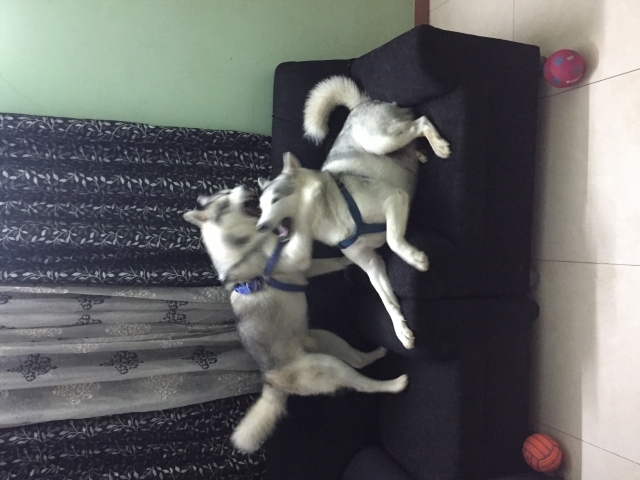 It is very independent-minded, so handlers need to have considerable patience and a good understanding of the Siberian Husky�s nature.